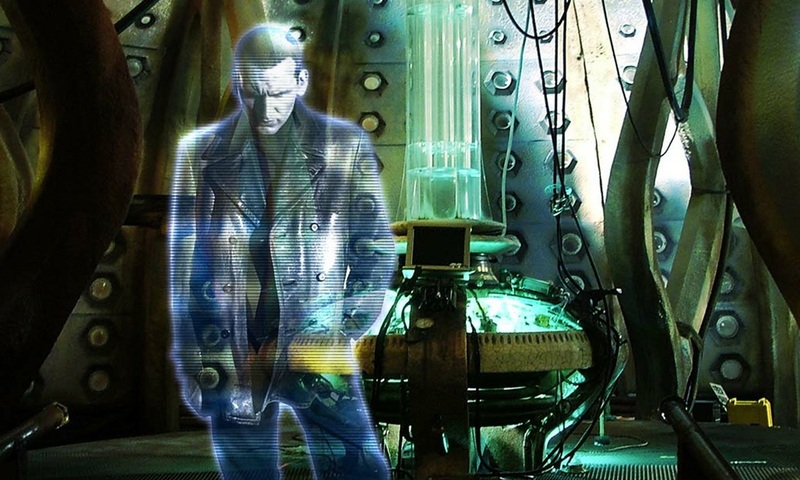 When assessing the Ninth Doctor’s attitude to war, there are a few episodes that stand out as obvious examples: Dalek sees him come face-to-face once more with the enemy; The Empty Child/ The Doctor Dances finds the TARDIS amid one of Earth’s bloodiest battles; and Bad Wolf/ The Parting of the Ways shows how far this Time Lord will or won’t go to stop further wars. But this is a Doctor steeped in war – he’s just escaped the biggest war in all time and space, with apparent memories of blowing up his own people – so it’s equally useful to find his mindset in the quieter moments. And few scenes are as gently heart-breaking and important as the conclusion of The End of the World. We didn’t really know what had happened to the Doctor or the Time Lords at this early stage. We’d been reintroduced to him in the previous episode, and, like Rose Tyler, we were still catching up. While the show was off-air, something big had happened. The Time War. Details about this monumental fight would slowly leak out over subsequent years, but in this episode, written by Russell T. Davies, we got roughly three lines of dialogue and a Doctor weighed down by an immense sadness. It’s absolutely beautiful. 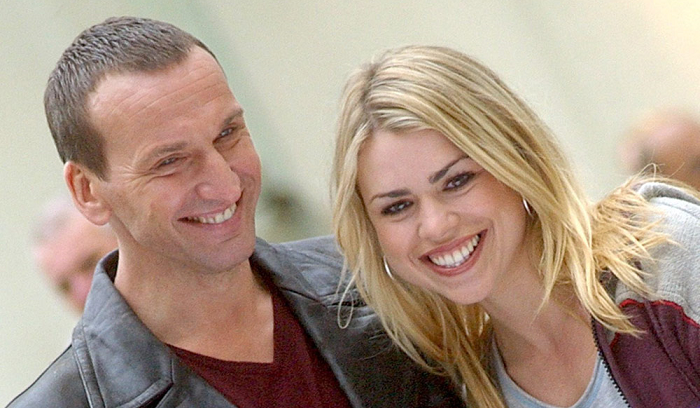 Christopher Eccleston and Billie Piper play it wonderfully: there’s an incredible weight to their brief interactions. They put aside their petty grievances (notably arguing about the effects of the Time War, i.e. the Doctor not even allowing himself to say his own planet’s name – and indeed, he never does in Series 1 at all; Gallifrey isn’t mentioned until The Runaway Bride) and share this moment of mourning. Perhaps it works so well because he and Rose are talking about something so massive while life carries on, in all its mundanities, around them. There’s a Big Issue seller, a baby crying, and crowds shopping. Meanwhile, they’re talking about a massacre. Perhaps it’s because the previous scene was equally sad, as Rose watches pieces of the Earth drift apart into the vastness of space, knowing that no one was watching when the sun bloomed and the planet was consumed. This huge event happened, and everyone else was looking away, more concerned with their own lives (or at least what could’ve ended those lives). Or perhaps it’s both of these things because they’re the same. It’s what Doctor Who does so well: combine the big and the little things and say they’re equally important. If you’re looking for a scene in the 2005- present show which utterly defines the programme, it’s here. It’s the Doctor and Rose, hand-in-hand, discussing something terrible, talking about danger – but going off for chips afterwards. It typifies the rest of the episode too: while Jabe tries to side-line the Doctor, tempt him into opening up about the Time War and marvelling about his very existence, the teary-eyed Doctor carries on regardless. He saves the day. 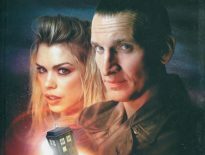 The Ninth Doctor constantly lives in the shadow of the war, but the whole point if that he continues doing what he does. War might act as his backdrop, but all that he’s seen won’t stop him. In fact, it’ll do the opposite. Heck, that’s not just a good attitude to war: it’s a good attitude to life. Forget what they say – the Doctor isn’t always a solid role model. Yet here he is. A true televisual hero.